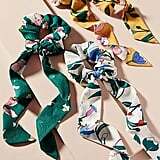 While we're still thrilled that scrunchies have come back with a vengeance, this season the '90s hair accessory is getting a new yet familiar upgrade: bows. 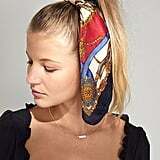 The ultra-feminine hair accessory has been appearing on runways as much as it has some of our favourite stores, and we can't wait to make them our number one hair accessory this Fall. 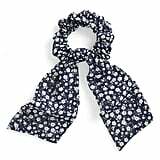 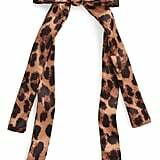 You'll want to collect them in a bunch of different colours, fabrics, and prints (namely plaid, leopard, and velvet varieties.) 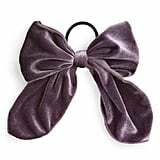 We love that they remind us of childhood without looking overly fussy. 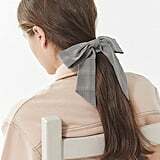 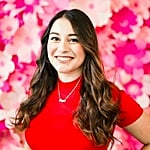 The best part is that these hair ties dress up a basic low ponytail and make you look more pulled-together instantly without having to reach for a flat iron. 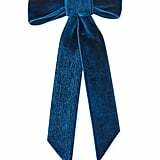 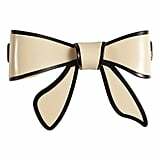 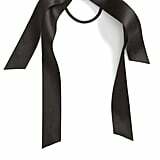 Keep reading to shop some of the chicest bows of the season.